I'm using Rockbox on my Samsung YP-R0. It works really well, but one thing I'd like to have changed: In the original firmware of this device it's possible to scroll through lists pagewise ("Left" button = page up, "Right" button = page down). In the Rockbox port of the mentioned player, "Left" goes back (e.g. goes one dir up) and "Right" selects an item (e.g. changes into the selected subdirectory or plays the fle). 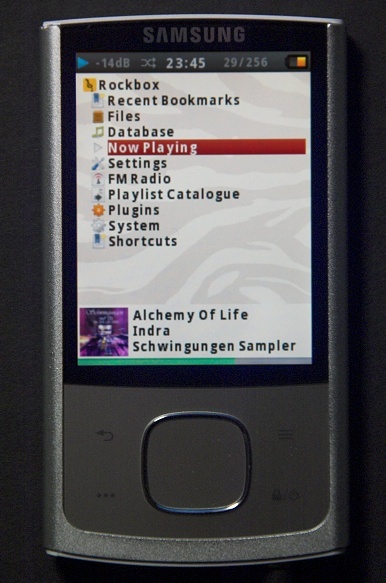 Is there any option for the user to change the key mapping of Rockbox, or can this only do the developer? P.S. : I know that there's an option for "Paged Scrolling", but this is not the same thing; with this option set, the selection keeps skipping line by line and the page only changes when the selection exceeds the visible area of the list.